a tiny and tantalizing glimpse into the cultures and traditions of my homeland. Indian women pioneered many things not just in India but also in the west becoming a source of inspiration for women and women’s movement across the world. Early in my residency and sometimes even now, I’m made to perceive that I’m not good enough to be a doctor just because I’m a woman. Once an elderly lady told me to my face that she’d prefer a male doctor to do her gynecological exam. I was stunned to comprehend the degree of prejudice women have to face particularly those in the fields of science. So when I read about Anandibai Joshi and women like her, I’m dumbfounded by their bravery and the degree of resistance they had to overcome. Anandibai Joshi was among the first Indian women qualified to practice western medicine. Dr. Joshi belonged to an orthodox Brahmin family of rich landlords in Kalyan. At the tender age of nine she was pressured to marry a widower, a man twenty years her senior Gopalrao Joshi. The beginning of a typical Indian story? No. Anandibai was just thirteen when she had her first child.Unfortunately the child died when he was just ten days old. She was heartbroken and angered to realize that her son would have survived if he had received proper medical care. This sparked in her the desire to study medicine and her liberal husband stood fully behind her. Why would an Indian woman go so far away for medical school? Because it was the best way to serve her country was the gist of Anandibai’s answer. The reason Anandibai had to look to the west is because in India, Hindu women, particularly those belonging to higher castes were not welcome in the profession.They were pushed to become midwives instead. If they insisted they could enroll in Chennai, to be taught by reluctant male instructors, and receive an incomplete training. It was easier if they converted to Christianity as they could wear a dress and that wouldn’t cause a scandal. Since Anandibai and her husband had no desire to convert, she decided to turn to the America. She applied with the assistance of Presbyterian missionaries. She enrolled and subsequently received her degree in 1886, from the Women’s Medical College in Pennsylvania. Her achievement was lauded, to the extent the dean of her school wrote about it to Queen Victoria, Empress of India. Anandibai was invited to become the physician-in-charge of the women’s department at the Albert Edward Hospital in the princely state of Kolhapur, where she also had the opportunity to instruct women medical students. Unfortunately, before she could embark triumphantly in her career, it was destroyed by the diagnosis of tuberculosis and she breathed her last in the arms of her mother, a month before her 22nd birthday. Dr. Anandibai Joshi lived a very short life but she achieved a lot. She broke barriers not just for women but also for the Hindu community. Even now we can look to her life and gain strength and inspiration.This is a fight which will go on until we get what we want–what we deserve–equality. This entry was posted in India Unveiled, Medicine, Words and Images and tagged Anandibai Joshi, india, Women in medicine, Women's movement on March 23, 2018 by Simi K. Rao. “The appointed day has come —the day appointed by destiny—and India sets forth again, after long slumber and struggle, awake, vital, free and independent.” Jawaharlal Nehru on the eve of India’s Independence, towards midnight on 15th August, 1947. The above quote holds true even now, not just for India but the entire world. 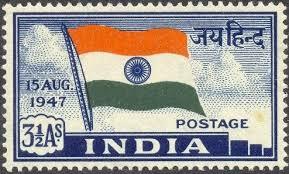 Happy 71st Independence Day dear friends! This entry was posted in India Unveiled and tagged 15th august 1947, 71st Indian Independence day, Freedom, Indian Independence Day, Jawaharlal Nehru on August 15, 2017 by Simi K. Rao. Wishing all my friends near and far A VERY HAPPY AND PROSPEROUS DEEPAWALI! Just as on this day Lord Krishna destroyed the demon Narakasura and rid the world of fear, let the light of knowledge rid the darkness of ignorance from our hearts and minds. This entry was posted in India Unveiled and tagged darkness, Deepawali, Diwali, Krishna, Light, Narakasura, Satyabhama on October 29, 2016 by Simi K. Rao.